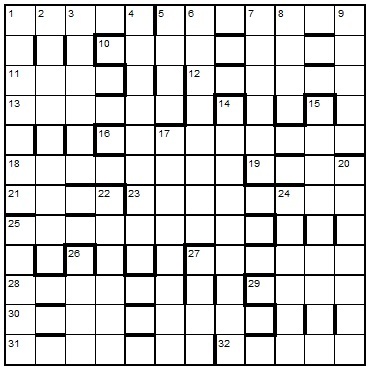 A sentiment spelled out by correct forms of a LITERAL in each down entry and a valediction heralded by a LOSS associated with across clues are addressed to our dedicated friend who hides in the grid. Wordplay throughout reflects the required grid entry, rarely a real word, whereas definitions are faithful forms of those entries. Definitions in four clues imply two-word answers. To enter this competition, send your entry as an image or in list format, to ccpuzzles@talktalk.net before the 8th July 2015. Please vote for your favourite clue and the clue-writer who receives the most votes will receive a small prize. The first correct entry drawn from the hat will receive a book from the Chambers range which has been donated by Chambers. Please note the new email address.